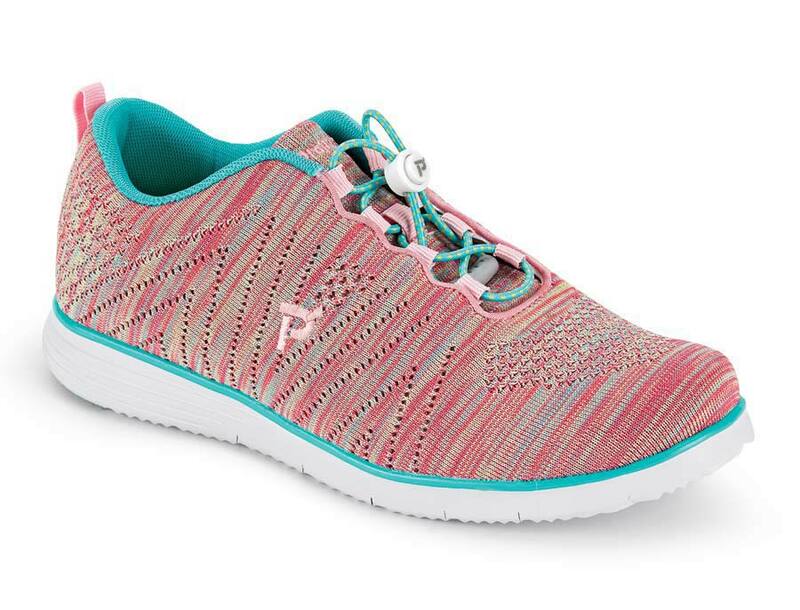 A lightweight dream, the turquoise rain “TravelFit” tie shoe from Propét has striking-looking seamless precision knit uppers with breathable mesh linings and convenient one-touch elastic toggle laces. 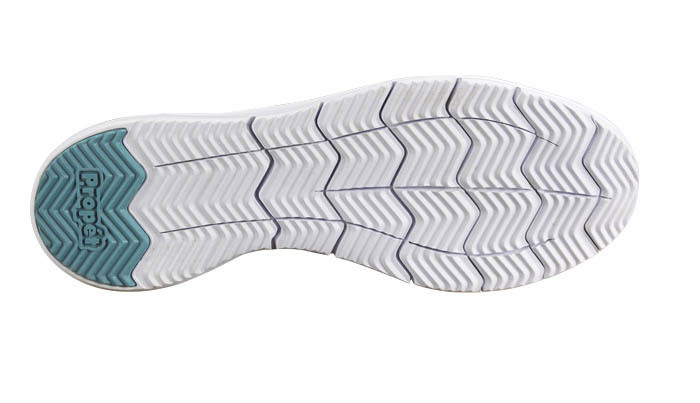 The cushioned EVA insole and lightweight EVA outsole are designed for comfort and durability. Women’s sizes 6-10, 11 and 12 in 2E and 4E. Limited stock available.